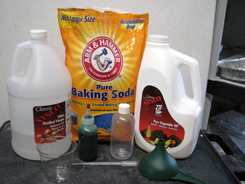 Using the funnel, sprinkle 3-4 table spoons of baking soda into the bottle. Let it settle into a flat layer at the bottom of the bottle. Using the funnel, fill the bottle 3/4 full with vegetable oil. Pour carefully and try not to disturb the layer of baking soda at the bottom. Pour 1 cup of vinegar into the 9 oz. plastic cup. Add 3-4 drops of food color. 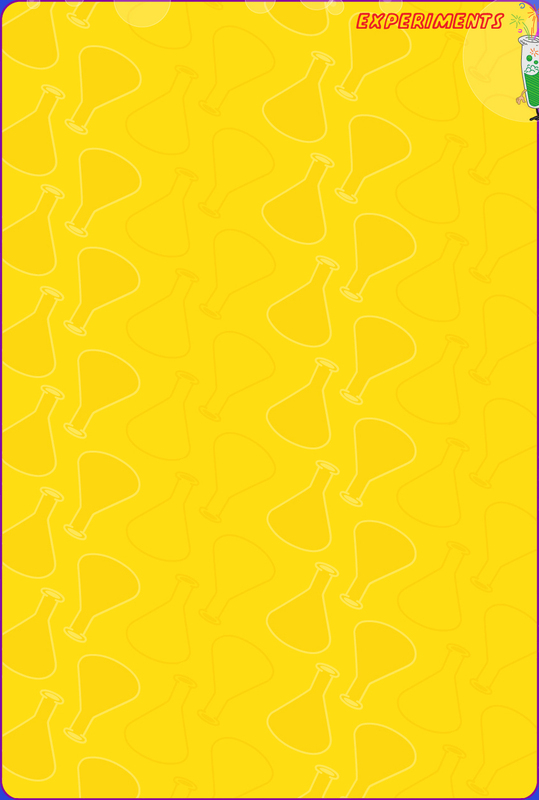 Using your pipette/eye dropper, add 5-6 drops of vinegar into the bottle. Watch what happens. Add 5-6 more drops of vinegar into the bottle. Watch what happens. Continue to add more drops of vinegar into the bottle until the bubbles stop floating to the surface. Oil and vinegar do not mix. When you drop vinegar into the bottle with the oil, the vinegar sinks to the bottom and the oil floats to the top. 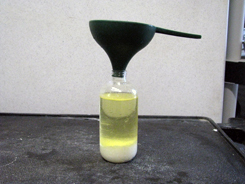 Oil floats on the surface because vinegar is heavier than oil. 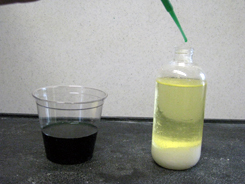 Vinegar is more dense than the oil. As the drops of vinegar fall through the oil to the bottom of the bottle, it reacts with the baking soda to make carbon dioxide gas. 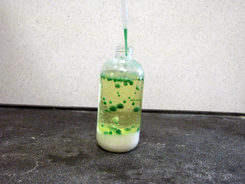 These bubbles attach themselves to the colored vinegar and cause them to float to the surface. When the bubbles pop, the color sinks back to the bottom of the bottle.